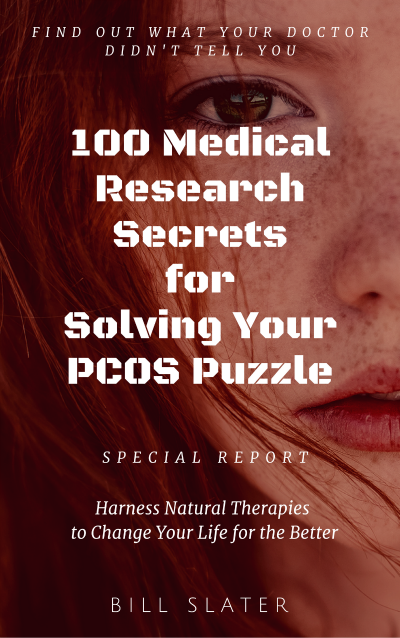 This page is intended for more of the stories of women with PCOS (polycystic ovarian syndrome) who have improved their condition by using natural health-building methods. We hope that you will be inspired by these stories and that you will have a renewed sense of hope and commitment to improving your health. (N) = Emphasis on natural methods. (D) = Emphasis on drugs. (S) = Starting on the road to success. I am 25 years old and was diagnosed with PCOS when I was 20. I have a lot of facial hair and gained so much weight. I have been on Metformin, Avandia and Sprio since Sept 2004. I have lost 20 pounds but I have not seen difference in facial hair. I did do laser treatment. However that was no help. I have been exercising regularly and trying to eat healthier. Any suggestions? Editor's Note: Saw Palmetto may help. HI! My name is Kristi. I was diagnosed with PCOS and Insulin Resistance in Nov. 2000. I too started out at around age 11 putting on excessive weight tried everything nothing worked. When my OB told me I had this he immediately sent me to a fertility specialist and I was put on metformin and I took it for 9 months starting Feb 01. I went on a low carb high protein diet and lost 30 ponds. I also had a hsg scan done which revealed a slight blockage but when the dye hit it, it cleared out (Sept. 01). In December i started having some funny symptoms and I found out I was Pregnant!!!! My beautiful miracle was born August 12,2002. In the meantime my husband and I also began taking Foster Parenting Classes, with the intent to adopt a very handsome little boy that we had met. We were able to adopt him in Nov. 2003. God has truly blessed us. For those of you who are trying to achieve do not give up I will be praying for all of you. I understand where you are at. At the present I would like to have another but I know that I must get control of my weight and PCOS symptoms. May God bless each of you. And thank you for sharing your stories. My story is not a success one, but I say it to you guys only to give me some advice and hopes. I am married for 7 years and now i am 27 years old. I am trying to get pregnant ever since i am married. I took clomid for 6 rounds but it didn't work always my doctors were telling me that everything is normal, until I was diagnosed with pcos. I'm not fat, but I have some extra hair in my chest, and also I have mild acne. I have gotten pregnant for 3 times spontaneously. Unfortunately I miscarried them. My last pregnancy was last year (2004) with twins but I miscarried in the first trimester. I was on the low progesterone and baby aspirin with folic acid and some multi vitamin. Now I have another doctor who prescribed me metformin, and I have a Chinese herbal and acupuncture medicine. I HOPE THAT I SUCCEED and I want your advice. Editor's Note: Mona, you may want to look at our Miscarriage page. My whole life, I knew that something was amiss but doctors offered little help. I went on the pill at 16 to regulate my PMS. I would go years without a period. At age 30, I was sure that I had Candida and went on a Candida Cleanse diet. At first it was hard but after a few weeks I started to feel amazing. It was no fruit and no grains, potatoes or rice; I ate veggies and protein. I did this for 2 years; it was easy because I felt so wonderful. I was also working out 7-9 times a week. (Little did I know that was the optimal lifestyle for PCOS). When my husband and I decided to have a baby, I bought an ovulation kit (this was 10 years ago so they weren't very fancy yet). I finally went to my local Planned Parenthood office to learn the 'natural way' to predict ovulation. I took my temperature daily and charted it. I got pregnant within 3 months. My Candida eating went out the window with pregnancy. I lost 14 pounds the first trimester due to intense "morning sickness" (all day sickness) which looking back I think was due to the PCOS. I know that all the components (diet, exercise, Glucophage) work together and that I need to do them all, not just one. I know this because if I slack on one, I can feel the difference. I was also diagnosed with partial, late-onset CAH; another piece to MY story which is my life. I maintained my diabetes with a strict ORGANIC LOW GLYCAEMIC DIET and used a strong organic omega 3 rich Linseed / flaxseed oil supplement. I stopped drinking all forms of caffeine ..no pepsi,coffee,CHOCOLATE etc. I drank only organic herbal teas like chamomile and rooibosch to calm any anxiety. I bought hundreds of ovulation strips off the internet cheap and used them religiously. I bought Taking Charge of Your Fertility by Toni Weschler. I did more Pilates and yoga to focus and calm me. I started on metformin slow release in January instead and found I could tolerate it. In March I found I was pregnant, I was kept on my metformin to reduce my risk of miscarriage and started on 5mg folic acid and aspirin. I am also supplementing with insulin, because although my glucose control is tight, it's being refined even further to between 4 and 7.5 mmols to reduce risk of miscarriage and pre-eclampsia. I am being very positive and hope I will have a safe pregnancy, with a health happy baby at the end. To all you girls out there, you have to be really committed and focused, your husbands support is vital, because I bullied my poor man into following the same healthy diet. I wish all of you the best of luck and will pray that you have success as well, and please give up a little prayer, whatever your religion, that us that have been please have safe pregnancies. Hi! My name is Annamaria, I have had pcos and endo since I was 18 . I was infertile for 20 yrs I tried clomid , it didn't work for me at all. Tried other stuff only to get disappointed. 3 yrs ago I went to the health food store and I asked if they had anything I could take for pcos and endo. I started taking fertility blend herbs and vitamins. I also changed my diet to a whole foods diet . I got my church praying with prayers and change in diet and herbs. I am 42 and I have a 4 year old. I was 29 when I got married and spent almost my entire 30's trying to have a baby. My "great" fertility specialist who looked at my ovaries almost every month never diagnosed me as pcos. My infertility was labeled as "unexplained". So we did 3 rounds of Clomid with no success. Then we did IVFs. All 3 resulted in pregnancies followed by miscarriages (all at exactly 7 weeks). My doctor had a new set of excuses for this - it is the shape of my uterus. I did not buy it and literally fled out of his office. A family friend sent me to a high risk obgyn who immediately suggested pcos and tested me for it. 6 months of Metformin therapy and another IVF resulted in the almost uneventful pregnancy and birth of my beautiful miracle baby. This is a success story that is hopefully in the making. When I got married I was on the Pill for 6 months. I came off it because I didn't like it and within 6 months I gained 50 lbs for no apparent reason. Everything looked normal to my doctor, but I knew this wasn't normal having been extremely lean my whole life. After 8 months of not being on the pill and having extremely irregular periods I got pregnant. I ended up having my baby 6 weeks early and had eclampsia and the baby was born via emergency c-section. Right after Kayden was born my midwife and I made the discovery of PCOS. Since then I have tried various diets to lose the weight, I have been on the pill, metformin, progesterone cream. For a while I had diabetic tendencies, but was able to overcome them after I really got serious about exercising 1 1/2 years ago. I have lost about 10 lbs and haven't been able to lose much more than that. A month and a half ago, I started a diet where I eat only fresh fruit in the morning, then vegetables, whole grains, no refined foods, dairy and only lean meats during the rest of the day. I also run for 40-60 minutes a day and do weight training. I have lost 13 lbs which is the most and the fastest I have lost yet. I am hoping this will keep up. I really am looking forward to the cookbook, and I love this website...to know that I am not the only one. I have learned it is important to look for the positive where possible. I also have been diagnosed with metabolic syndrome and so am at a high risk for heart disease and diabetes. I am 27. By having this knowledge now and having healthy lifestyle habits I will be able to avoid those things. I may never be a size 4 again, but hey, right now, my resting heart rate is 68 bpm, and hopefully the weight will follow and I can naturally become more fertile. I am 28 years old and was diagnosed with PCOS and Graves' Disease about 3 years ago. I have had irregular periods since I was 16. I have always been somewhat over weight and have had an excess of dark hair on my stomach and under my chin. I also started losing my hair while in college. I have always been very active in sports but was never able to maintain a healthy weight. But, thanks to some really good doctors they have helped me work through a lot of problems. Recently I have had one thing on my mind...I wanted a BABY! My husband and I got married right before all of my medical problems began. Like the rest of you that are trying to conceive the doctors don't have a lot of good news for you when you have PCOS. My husband and I agreed that we would try for a year and if nothing happened we would explore our options. However, he was very against most non-natural options. One day I was talking to a friend of mine who is in her sixties. She told me that she was having problems conceiving when she was younger. Her OB/GYN told her to go to a Chiropractor. He said to go and have an adjustment a couple of days before you ovulate. She now has 7 children! So, I thought heck it is worth a shot. So, I went to my Chiropractor and he sent me go have some x-rays of my lower back. I went back to him and he showed me where my spine was out of alignment. He made an adjustment 2 days before I was supposed to ovulate. And 3 weeks later I found out I was PREGNANT! I was shocked! I am still not sure if it was mind over matter or if it really works. But, it worked for me and I am now expecting a baby girl in September. My name is Coreen. I am 28 years old and was diagnosed with PCOS in November 2004. I had always been active and fit and had always maintained a nice healthy weight. The year of my wedding (2003) I was steadily gaining weight without an inkling why! I steadily gained a further 4 stones in less than a year and sunk into deep depression. I went to see a specialist last November who prescribed me Clomid 50g for 6 months. I had hoped that these tablets would work and was told by my consultant that PCOS did not cause weight gain - ha! After three months of pure torture, mood swings, constant headaches and yet more weight gain, I decided to seek alternative help. I sought the help of a nutritionist who diagnosed that I had high estrogen levels and high insulin levels. I was told that by taking Clomid I was actually injecting more estrogen into my body which was unnecessary. I have been following a very low carbohydrate diet and my meals consist of meat/fish and lots of vegetables and water. I also take a high dosage of Omega 3 fish oils, chromium (to prevent the sugar cravings), magnesium and a very good multivitamin, and boy I have never felt better, I feel like I am on top of the world. For the first time in a year, I wake up feeling refreshed and minus a headache. I would really recommend seeking alternative sources of help before taking medication, this sometimes makes the situation worse, but please remember we are all individual and what make work for one may not work for another. Hi, my name is Debra and I am 33years old and was diagnosed with PCOS in 1998. My husband and I have been trying to get pregnant for ten years now but with no success. My specialist put me on metformin and doing well with it. Since my husband has been out of work haven't been able to get my medicine. When I was taking it I felt very good, thank God for that. But we aren't giving up for we know that God will bless us with a child in his timing. I've struggled with PCOS for 15 years. I was diagnosed with PCOS when I was 19 (I am now 34). I was a late bloomer with my period and started at age 14. My periods were sporadic and would come usually about every 2 to 3 months. My doctor put me on birth control at age 17 to get them to come monthly. I got off of bc when I was 21. I got married at 24 and wanted to have a baby. By age 24 I had gained tons of weight and my period had been "missing" for almost 3 years. My doctor but me on meds to lose weight (My weight was at 263!). I exercised and took the meds and lost 68lbs. My period came back and four months of having a regular period I got pregnant! Today I have a healthy 7 year old son. But sadly I have gained back all my weight plus. I am also struggling with stress from a messy divorce and also had a miscarriage 2 years ago. But I'm not giving up and I'm working on an insulin resistance diet and trying to get in some more exercise. If I could do it before, then I can do it again! I believe weight loss was my key to getting pregnant because my period came back on its own. I have almost all the symptoms of PCOS (obesity, facial hair, skin rashes) but it's good to know that it doesn't have to always be like this. The cure may not be in a pill but there is a way to beat it! God bless all and good luck to everyone! I found out I had PCOS in approx Nov of last year. I am a 27yrs old from Australia, been married 3yrs and my husband and I really want to have children, Well I don't have a success story either just yet, but I am trying very hard to conceive. I have never had a regular cycle since I started at the age of 11. I have been on natural progesterone. I have just recently lost weight I have lost in total 21 kilos in just over a year from Lap Band surgery to lose weight. I eat fairly healthy. I had an ultrasound which showed I have 35 plus cysts on my left ovary and 20 plus on my right, My uterus is ok to carry babies; just conceiving is the problem. I have been told about Clomid but am too scared to try it. I feel hopeless that after reading stories of other ladies, how they change there diet etc and fall pregnant. I just wish it was easier for me. I think you tend to hope when you try lots of things -- but with no results you feel you have failed. Your stories have brought me to tears. I am a success story as I am now 37 weeks pregnant with my second child which took 3 long years to conceive. I had laporoscopy just to find out everything was normal. I tried Clomid which I couldn't stand the side effects of and has no success with. I then decided to go back to an iridologist that I had seen years before. I was put on a candida diet which I followed for about 6 months to cleanse my body. I then went on some herbal formulas from Nature's Sunshine which consisted of Maca, Wild Yam and Chaste Tree, Alfalfa and a multi-vitamin. I really believe these herbs are the reason I am pregnant again as I know I wasn't ovulating and they made me ovulate after taking them for only 5 months. 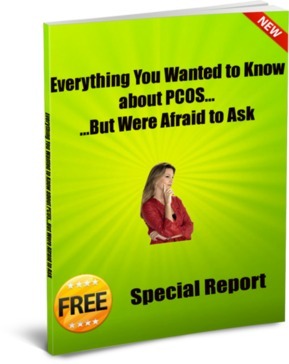 I know how frustrating PCOS can be with hair everywhere, obesity, acne and infertility. Just don't give up. I was diagnosed with PCOS when I was 18 and am now 30. This website is the most informative, relevant, up to date information I have been able to find yet. Thank-you so much for giving to women all over the world with PCOS. After hearing all of your stories I was compelled to tell my own. I am 22 years old and was diagnosed with PCOS when I was only 14. After being on birth control for five years, I was recommended to Doctor Glucek from the Jewish hospital in Ohio. He is one of the main doctors who found the connection between Metformin and PCOS. After seeing him I started taking 500 mg 3x/day. When I did not respond to that dosage my medicine was increased to 850 mg which started to show some results. Even with this amount I was unable to become regular. This is when I had had enough, I took matter into my own hands. I continued with the metformin, but my mother and I started to do extensive research about PCOS. Through that research I was able to develop a diet and exercise plan that not only made me feel better, but also look better. It was during this research that I discovered a natural supplement called Vitex. IT IS AMAZING!!! Four years later I have achieved normal blood tests and a regular period. Although I am not married, I one day plan to become a mother and thanks to vitex, metformin and all my hard work I will be able to fulfill that dream. I was diagnosed with PCOD when I was 16 years old and I continued to have problems with them for the next nine years. When I was 17, my doctor put me on "the pill" and I stayed on that for seven years only to be plagued with persistent urinary tract infections and yeast infections. To help with the UTI's I was put on antibiotics. Since it was an ongoing problem, my exposure to antibiotics was very high. At 24, I decided to take myself off the pill because I felt it was causing my UTI's, depression and various infections. I felt a lot better being off them and returned to a somewhat normal lifestyle. After being off the pill, I got my period three times in two years. I gained about 15 pounds and became irritable again. I was tired all the time, constantly ill and craved sugar like mad. Doctors told me there was nothing wrong with me after doing several blood tests and various examinations. I wanted to know why my periods were so sporadic, so I made appointments for ultrasounds. The Dr. informed me that my PCOD had still progressed and put me on progesterone pills to take every three months to induce a period. I will never do that again as the progesterone made me very ill and the moodiest I'd ever been in my life. I decided to research, on my own, what was causing my tiredness and bi-weekly yeast infections. I came across Candida Albicans and after much reading, self-diagnosed myself with it. I found out that my exposure to antibiotics and birth control had destroyed important yeasts in my digestive tract, allowing "bad" yeasts to take over and cause my body to crave various forms of sugar. After starting a Candida Diet which consisted of no products with yeast, no sugar, white flour/rice, fruit, processed foods; only fresh vegetables, meats and whole grains, brown rice/pasta, etc. I felt 100% better. I have energy, my yeast infections have disappeared and my menstrual cycle returned after two months of eating unprocessed, fresh, nutritious foods. I also have not experience any cramps during my cycles. I lost that 15 lbs I had gained a few years back and was able to get back into my college clothes. I went to the doctor to present my self-diagnosis to make sure that I was doing the right thing. He was pleased I was able to find a lifestyle that has ended my decade of misery. After reading other women's stories on this site, I wondered about the effects of our society's over-processed and ready made quick foods on the human body. A lot of women on here have experienced a 360 when changing their diets to more wholesome and fresh choices. Congratulations to all of you who have successfully turned your life around. I am very glad I came across this website. It has helped me realize that there is hope out there and that we can overcome almost anything. Hello, My name is Lisa I am 26. I was diagnosed with a hormonal imbalance when I was 16. I didn't really understand what it was or why I was getting all the symptoms. But the specialist put me on the pill and told me that I would have a difficult time getting pregnant. For years I felt alone. But it didn't stop me from enjoying my youth. I always noticed of all my friends I was the only one with these symptoms. I found myself mildly overweight and seeking knowledge of what was really wrong with me? In the dark...I remained on the pill for 9 years. I was living with my fiancé for 2years when we decided to try to conceive. So I went off the pill. All my symptoms returned but this time even worse. So now after 2years off the pill I had put on 60 pounds. I was feeling seriously depressed. Which is not good for a newly wed. So I have gone back to my GYN and I was finally diagnosed with PCOS. What a relief to finally find a conclusion to my mystery. I have been following a low-carb lifestyle and I recently bought myself a bike. I'm awaiting my follow up appt. with my doctor to see what method of treatment I will be using? I was 16 years old when I find out that I had pcos I am now 20 years old, it started off with my periods not coming as often as they first did, so I went I seen my gp and she said every thing was fine. But I knew some thing was wrong with me because I was putting on loads of weight, feeling really lazy all the time. So I went back up to see another gp and they sent be for an ultrasound and it confirmed that I had pcos. I was also told that there's a strong chance that I might not ever be able to have children. Then I went on a diet, went back to my normal size but I still don't have periods, but I now have a 4 month old baby boy! So it just proves never stop trying. This is a partial success story - I'm not pregnant (and not yet trying), but I know so much more about my condition than I did several years ago, and that in itself feels like a success. I am 31 years old and have had PCOS for at least 13 years, but was not diagnosed until my mid-twenties, and even then I was given no information or treatment - I wonder if this rings a bell with other women in the UK? It's only been in the past few years that PCOS has received any attention over here and I think doctors used to believe it was much less common than it is. Even after diagnosis, the Internet and books I've found on the Internet have been almost my entire source of information...which means that your newsletter has been a real lifeline to me. Over the past few months I have been taking agnus castus vitex (chasteberry) in supplement form, and it seems to have brought my periods back into a regular cycle. If you haven't tried this yet, then I recommend giving it a go. However, I know I also have to tackle the lifestyle factors. I already eat healthily and exercise every day, but I really struggle with my weight. Like some people feel the cold more than others, I'm convinced we PCOS women feel hunger more acutely. I'll leave you with this thought. The way I understand the genetic background to PCOS is that in times past, when food was not readily available as it is today, women who could use calories efficiently - and therefore maintain a body weight healthy enough to sustain pregnancies - not only survived, but thrived. They got humankind through lean times, and they passed those genes on to us. So don't forget, we don't have faulty genes - we have the best genes! I hope one day to pass them on. Editor's Note: According to several studies we've seen, some women with polycystic ovary syndrome do feel hunger more acutely. In other words, they feel less satisfied after eating food, and thus tend to eat even more food. We discuss this issue in our healthy PCOS diet book. I don't have a success story but i just wanted to share my pcos story with all the readers and my fellow pcos comrades. I am 29 years old and was diagnosed with pcos at the age of 21. Since the diagnosis my life has been a living nightmare. My body has gone through dramatic changes. From excessive weight gain i went from 160 pounds to now a weight of 247 pounds. I have excessive body and facial hair. and i have irregular periods. Most of the time i don’t' receive my period for 3 and 4 months at a time. And when i do get it, most of time it last for about 2 to 4 weeks which the bleeding is usually extremely heavy and the cramps are unbearable. I usually take midol for the pain because medications like motrin, aleve and advil cause me to bleed even heavier. i am totally exhausted with this whole pcos condition. I have tried birth control pills, however the side effects are so severe that i cannot take the pill any more. I suffer from extreme mood swings where i am crying one minute and wanting to fight the next. And people think that i am just taking my problems out on them when it's my hormonal imbalance that is causing the problem. Also recently i have been dealing with the onset of acne and all these symptoms of pcos are really depressing and they are driving me insane. I have been to doctor after doctor and no one seems to want to put me on metformin or clomid. I don't know what to do any more. I am tired and i want to give up. The symptoms are getting worse. and i am in need of help. I am not married, but one day would like to be and have children. I don't know if this will happen for me but i am living in constant hopes that soon i will be able to take metformin and it will help my pcos. I am considering having gastric bypass surgery for weight loss and control i don't know if this would be a good method of treatment accompanied with metformin or clomid. Maybe someone can give me some advice on this. I truly wish more people were knowledgeable about this medical condition and that doctors were more sensitive and considerate of the symptoms associated with it. But i just wanted to share my story with everyone and let you know that all of us are in this pcos struggle together. Truly i understand what you are going through. So keep the faith and don't give up it will get better and we will beat this polycystic ovarian syndrome. I am sorry that I have no success stories to share...YET ;o) These days, it's almost as though you have to be your own doctor. For about a year and a half I notice there was something wrong…never to be diagnosed, or misdiagnosed. I had seen several gyno's…finally I had nothing to lose. I broke down and told my doctor I need someone who can truly help ME, someone who would listen to my concerns, etc... (in the past year I may have seen more doctors that you can imagine, all kinds of tests, an no one was able to diagnose me and I needed answers). Finally I found a Gyno who I don't think I will ever let go of, she was able to detect the problem almost instantaneously, she listened to what I was saying and feeling... and although she diagnosed me with PCOS, I am still going through a series of tests to determine the best possible treatment. I have just recently been diagnosed with PCOS and thought just the same as most of you and thought why me. I am only 22 and thought i wouldn't be able to conceive. Although i have not been trying just yet, it's the first thing that i was upset about. I want lots of children and i was devastated when i found out i had pcos. I have absent periods, weight gain, high male hormone levels and constantly feeling down and sluggish and it has started to affect my social life. I was on the pill for 3 years and i was much better. I came off the pill and it all came back and although it worked i refuse to go back on the pill and i want to fight it not hide the fact i have pcos. After reading all your stories it has motivated me to change my life style and think positive. Its only until now that i felt like i can actually do something about it, i thought i was doomed for life. Thanks for writing your success stories it has really cheered me up. If you have a success story to share, please let us know! We're especially interested in stories of women who have successfully used diet, exercise, natural therapies, or dietary supplements to reduce PCOS-related problems. (If you also have any photos that you think might inspire other women, let us know if you would like to share them. Examples might be your new baby, or "before" and "after" pictures of you after losing some weight).